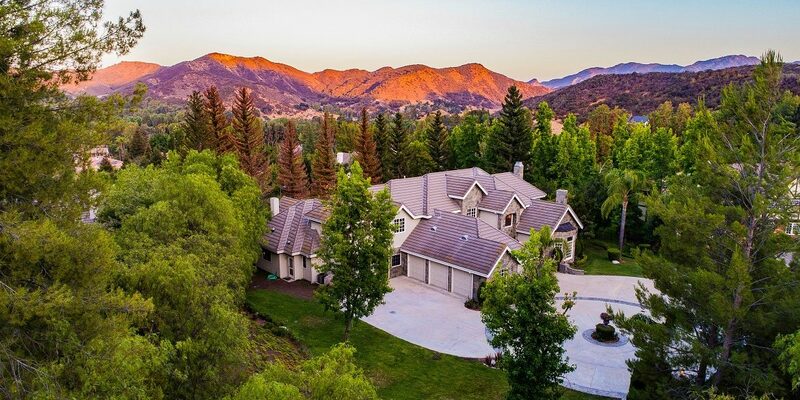 Situated on more than an acre of beautifully landscaped property in the prestigious gated community of Medea Valley Estates, this sprawling, luxurious estate is ideal for enjoying Southern California living at its finest. Surrounded by trees, the private backyard features a newly refinished Pebble Tec pool and spa, nature-like rock waterfall, beautiful stone landscape and multiple areas to relax and enjoy the tranquil surroundings or entertain friends. An elegant entry sets the tone for this magnificent residence, which showcases exquisite craftsmanship and attention to detail throughout. 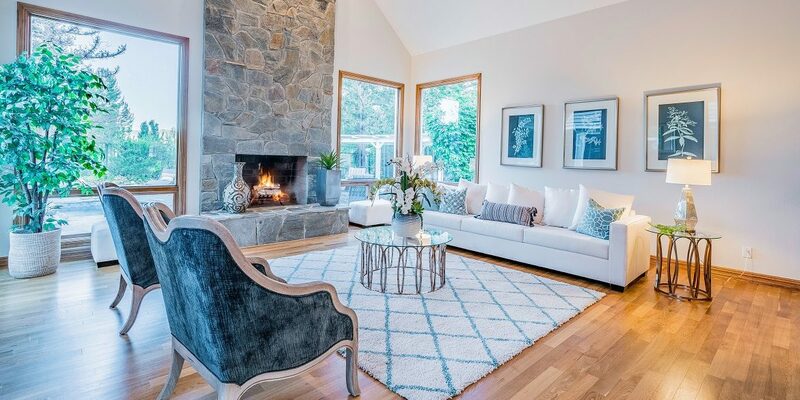 The first level includes a formal living room with vaulted ceilings, a stone fireplace and oversized windows, a formal dining room with leaded glass windows and a sophisticated home office featuring rich wood paneling and a fireplace. 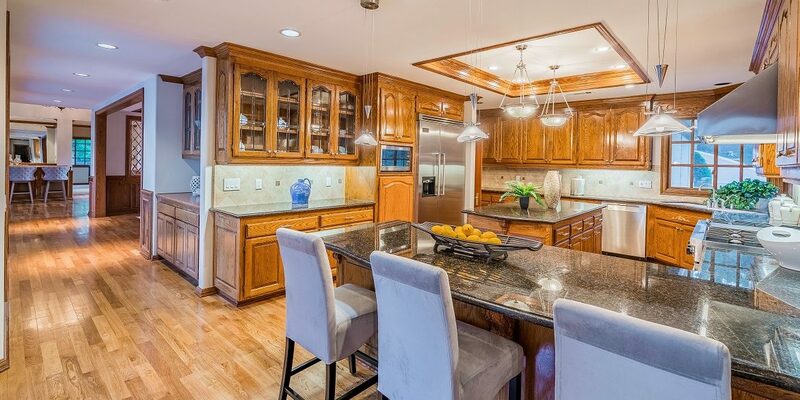 Chefs in the family will relish the huge gourmet kitchen, which offers a stainless steel Sub-Zero refrigerator, six-burner Viking gas range, breakfast bar, large center island, granite counters and abundant custom cabinetry and storage. 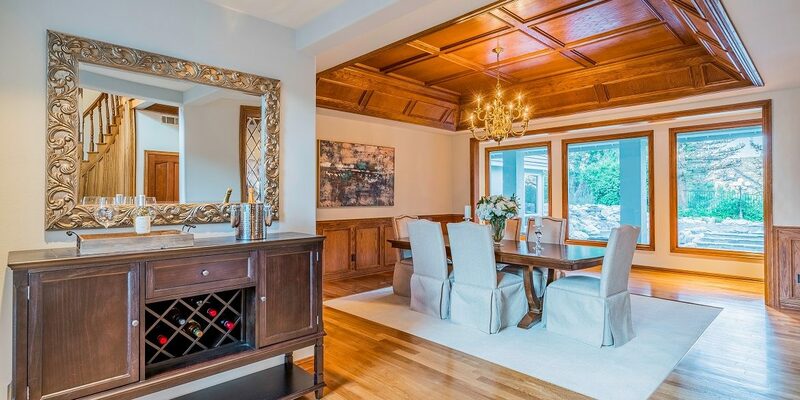 The kitchen opens to an informal dining area that leads to the inviting family room, boasting vaulted ceilings, a fireplace, attractive wood built-ins and large windows with views of the gorgeous backyard. A truly serene retreat awaits you in the sizable master suite, which has a cozy private sitting area surrounded by windows overlooking the amazing property, a fireplace and spacious bath with generously sized his-and-hers vanities, granite counters and cabinetry, soaking tub and large shower. 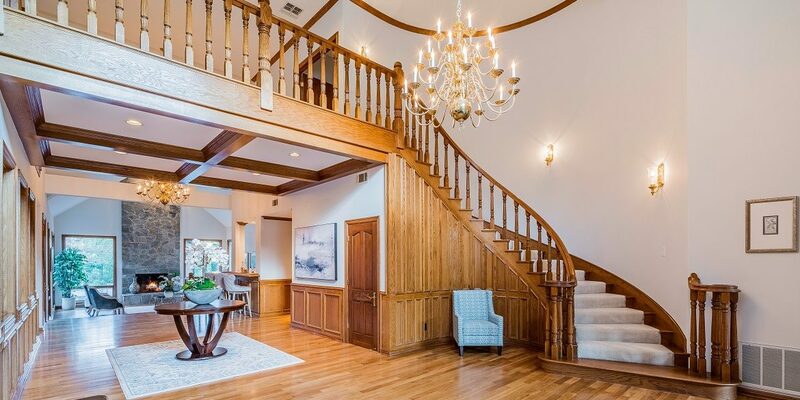 Other highlights of this spectacular five-bedroom residence include custom hardwood floors, a dry sauna, large circular driveway and three-car attached garage. In addition to being just minutes from the 101 Freeway, the home is close to Malibu Beach and convenient to top-rated schools.